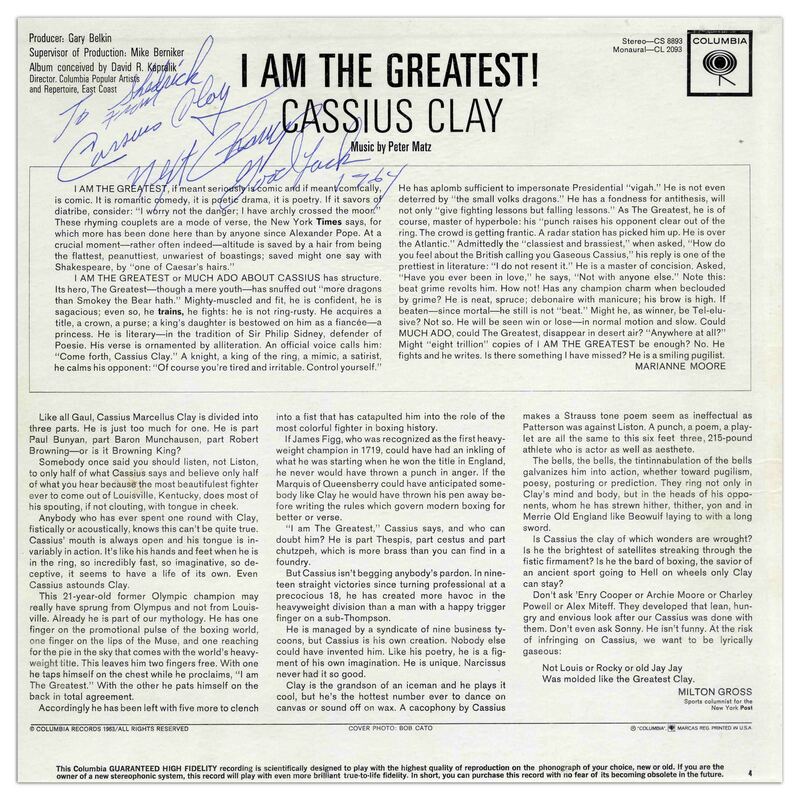 Cassius Clay signed album ''I Am the Greatest!'' 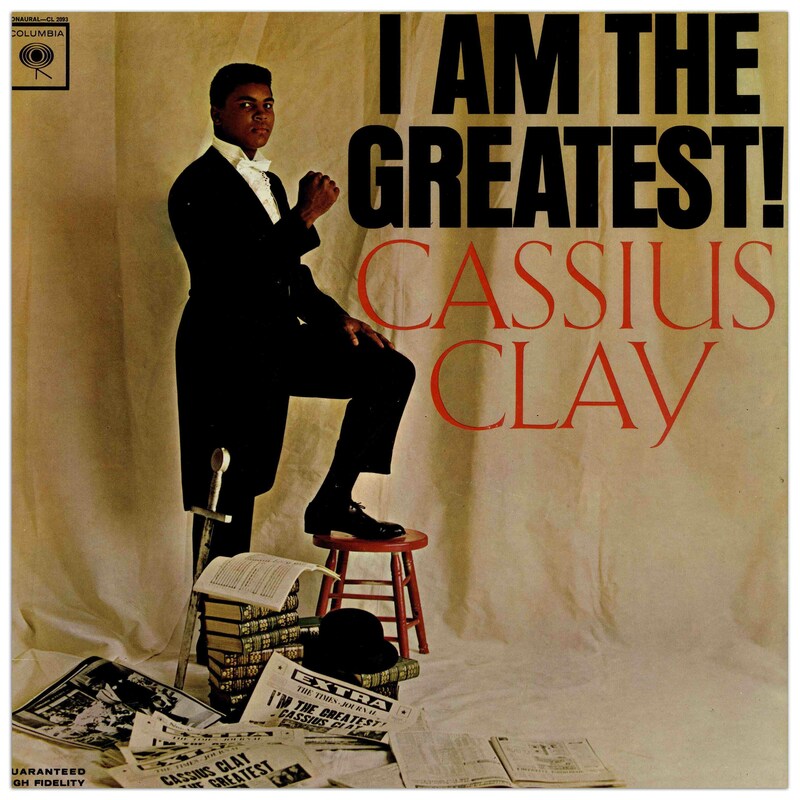 from 1964, shortly before he changed his name to Muhammad Ali. 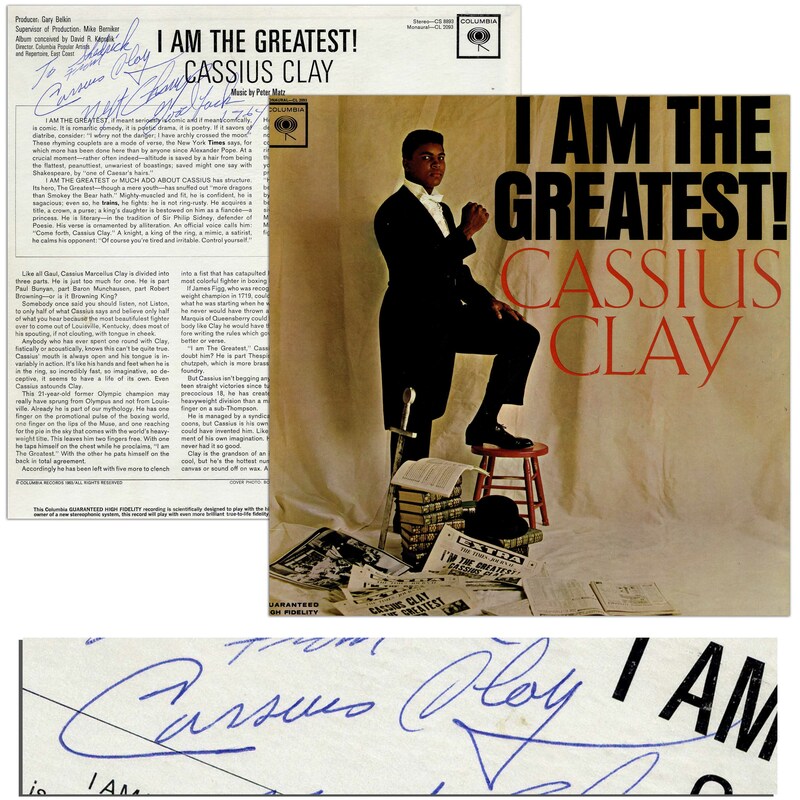 Clay signs the back of the album in blue ballpoint, ''To Shedrick From / Cassius Clay / Next Champ / Good Luck / 1964''. 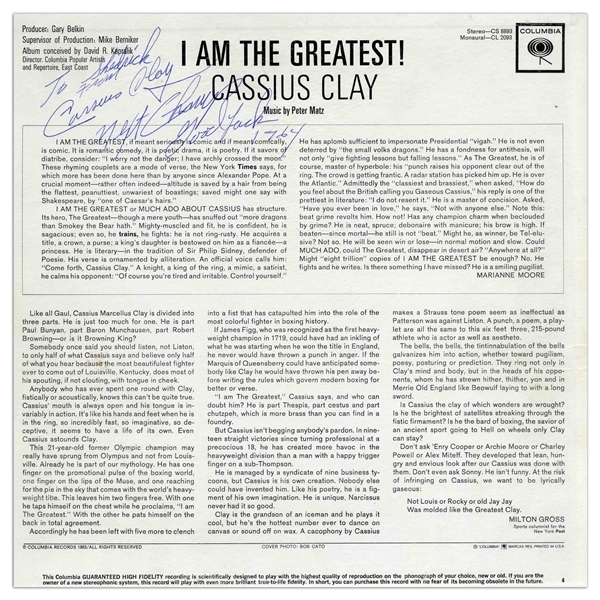 Released by Columbia in 1963, the album helped establish Ali's reputation as an eloquent hyperbolist who liked to goad his opponents. 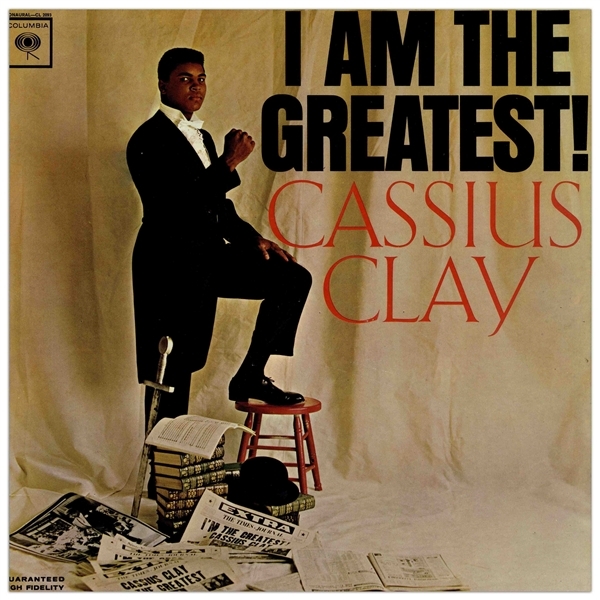 One of the songs, ''Will The Real Sonny Liston Please Fall Down'' is considered the first rap battle track, and many of the tracks also influenced early hip-hop and rap. 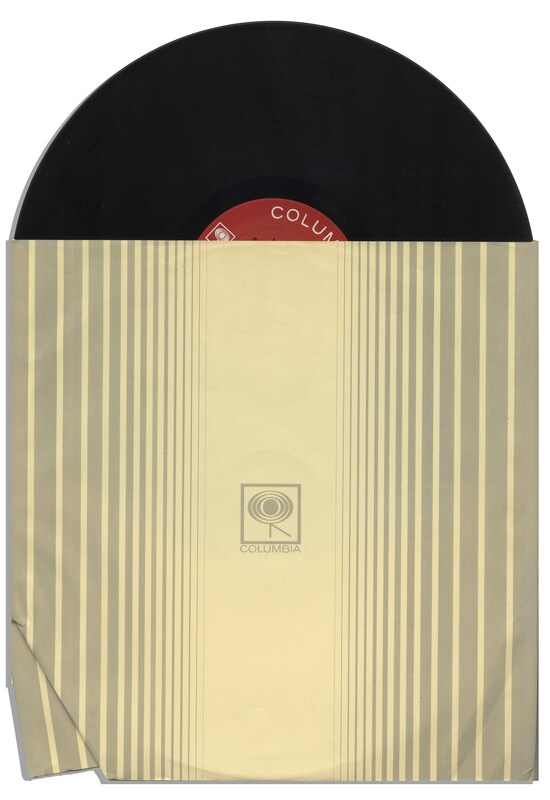 Album measures 12.5'' square. Record has not been played, but appears near fine. 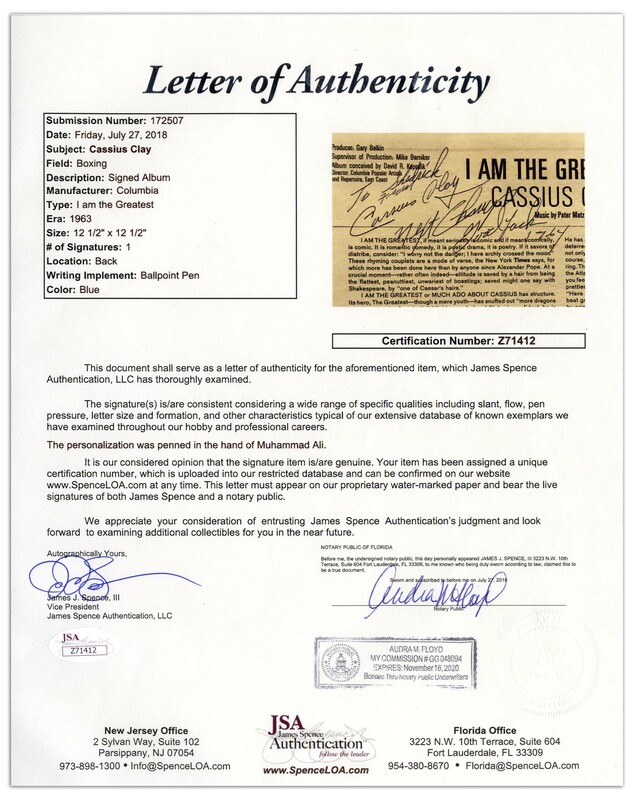 Overall near fine. With JSA COA.